Amidst a barrage of complaints from the KCC contingent travelling the wrong way across London (i.e. 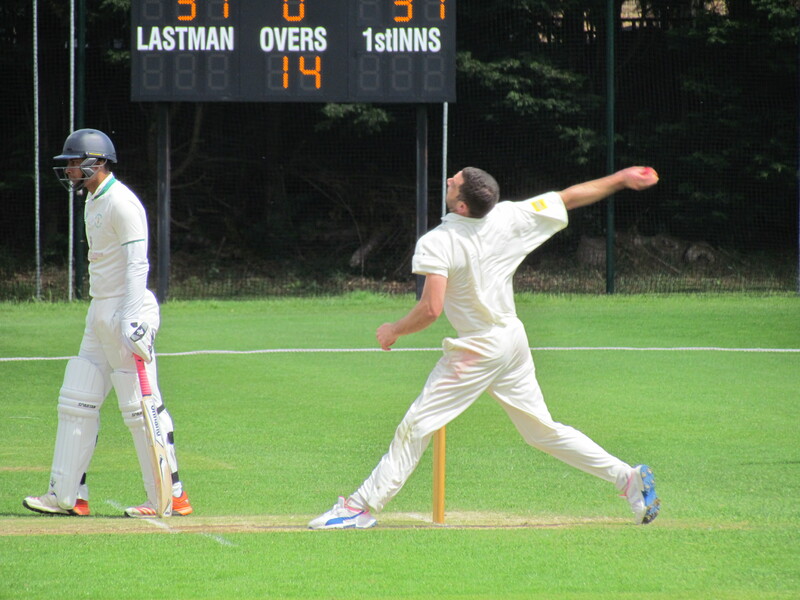 Eastbound), skipper Tim enjoyed his leisurely 15 min commute for our inaugural fixture versus Blackheath, the reigning Kent Premier League champions and National Royal Cup winners from 2015. 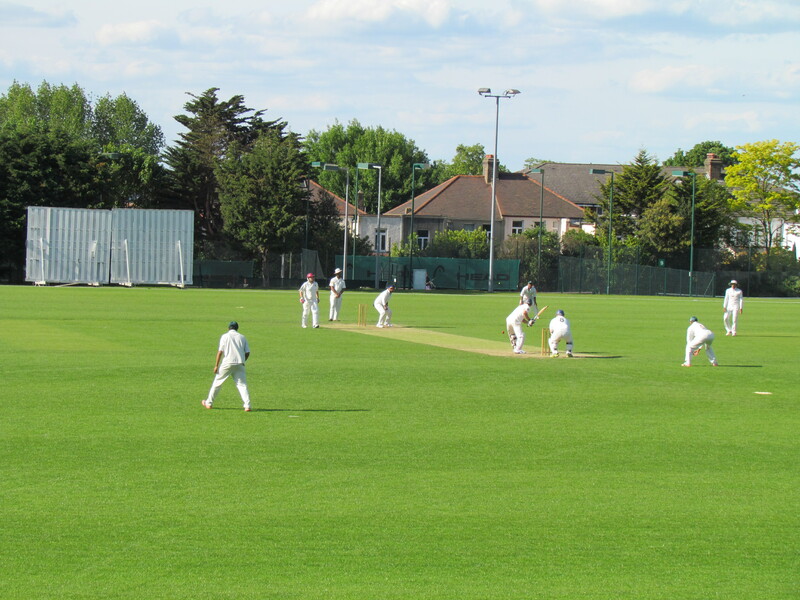 With many of our regular opposition clubs struggling to raise sides these days, it was good to see a thriving cricket club so close to central London, with fantastic facilities to match. 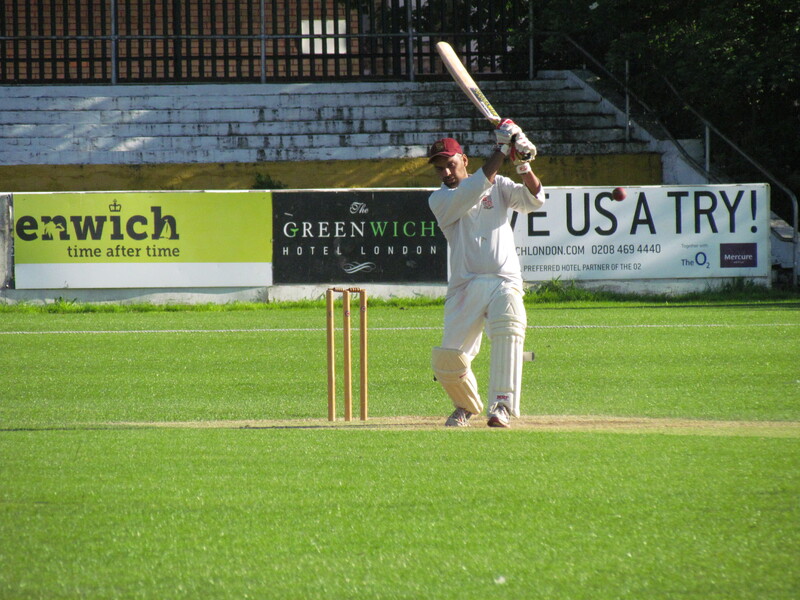 Batting first, Blackheath cruised to 100 without loss at the drinks break despite some probing bowling from Wajid, Saikat and Wesley. It’s amazing though what a sip of Tesco’s finest blackcurrant can do for team morale. 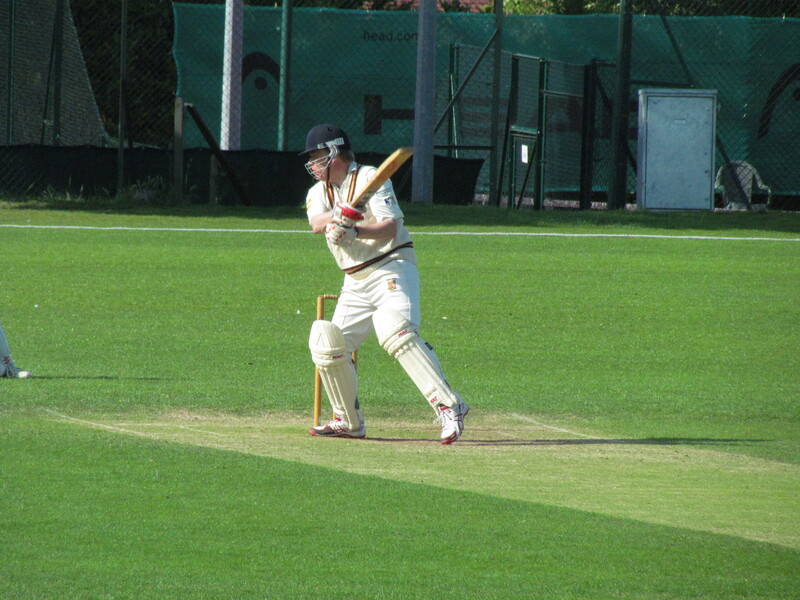 The next 10 overs KCC hit back with 6 wickets and suddenly the hosts were on the ropes. Saurav Sen literally turned the game on its head, taking two crucial wickets, ably backed up by some brilliant keeping from Jamie. 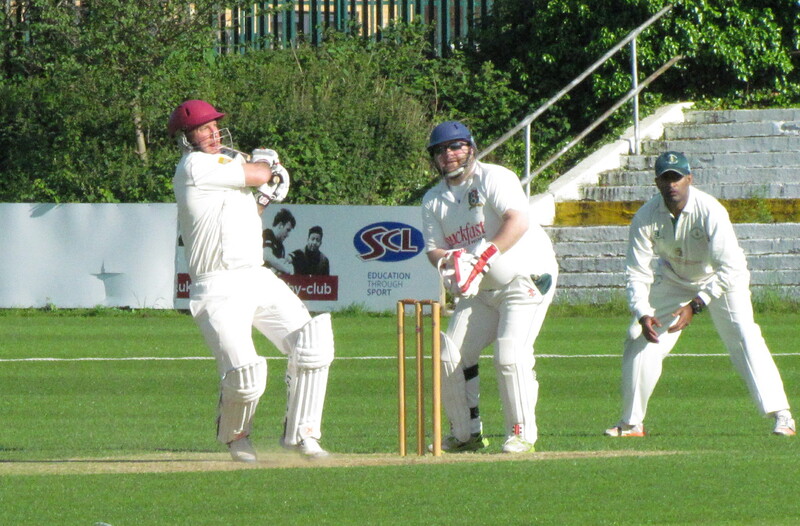 We know that a club like Blackheath will always provide a sting in their long tail, and the lower order provided a much-needed flurry in the latter overs to push their score to 194. 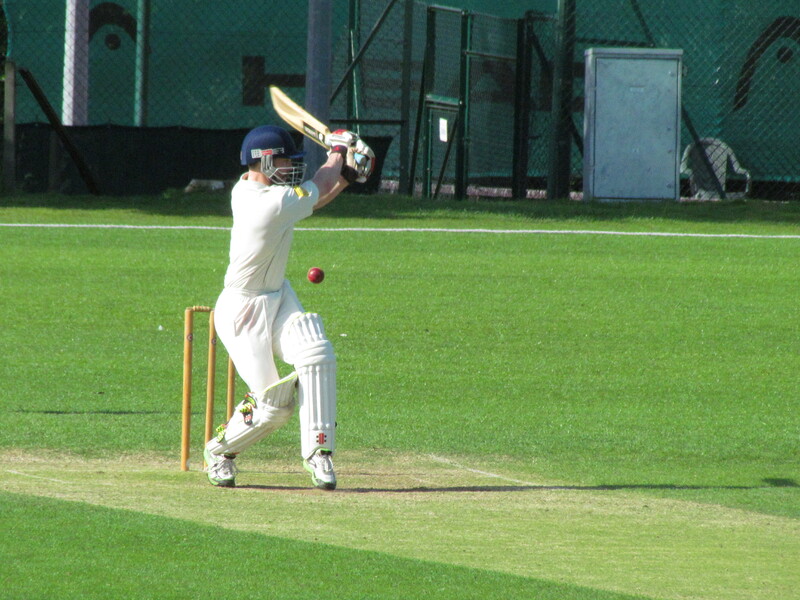 Our response was slow then disastrous, with the top order collapsing to leave us reeling at 32 for 4. 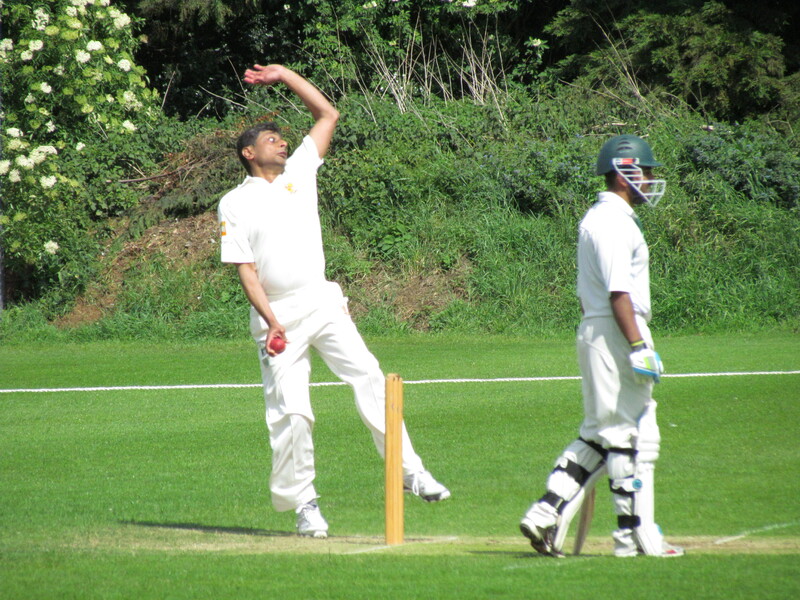 Jamie and Amit Shanker steadied the ship, Jamie looked like the Jamie of old, punishing anything pitched short. 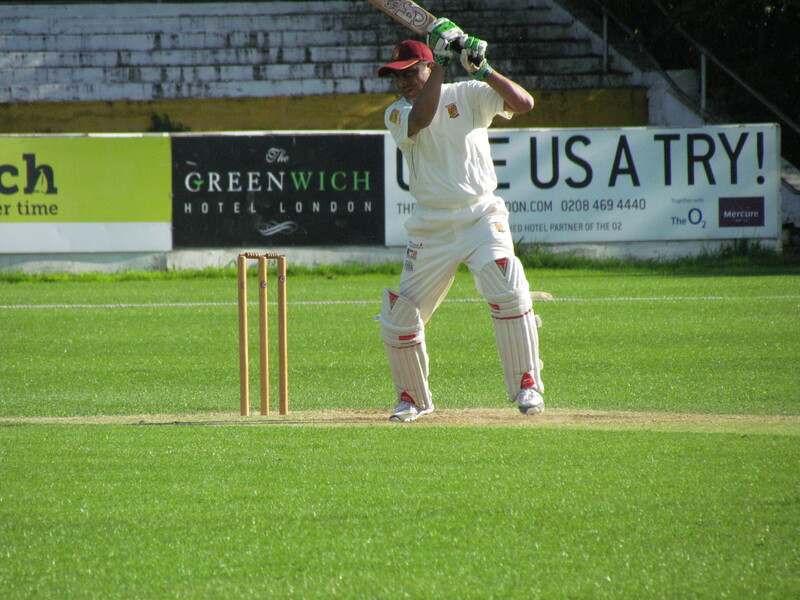 But Blackheath were able to tie up one end with a beautiful spell of bowling from their man of the match Div Mishra. 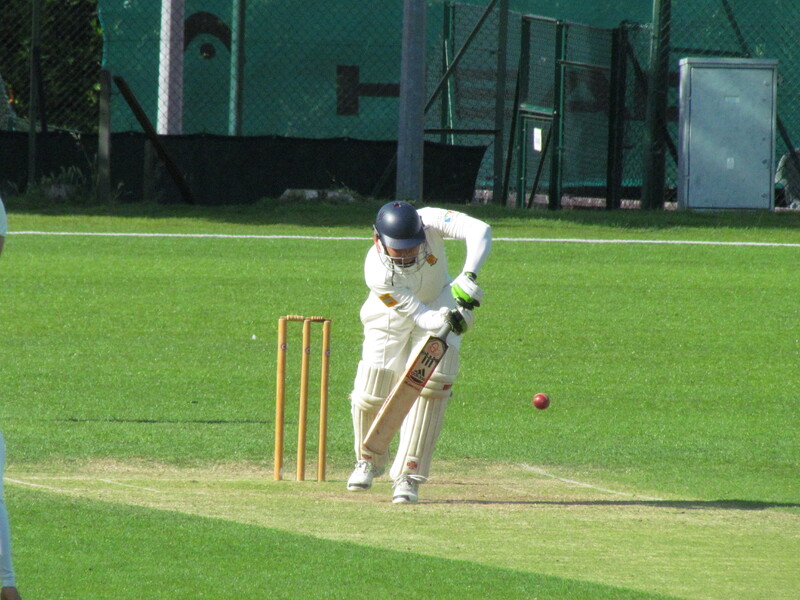 As the run rate pressure began to build, Amit and then Jamie both fell and the chase got away from us. KCC also had a deep batting line up, but with Saurav hampered by a hand injury from earlier in the day our firepower was severely dented. In the end Jamie was the only player to score above 20, which will never be good enough against a team such as Blackheath. Chris pulled the bails to signal the end of the game with KCC left on 162 for 9, with handshakes exchanged as both teams headed off the field. 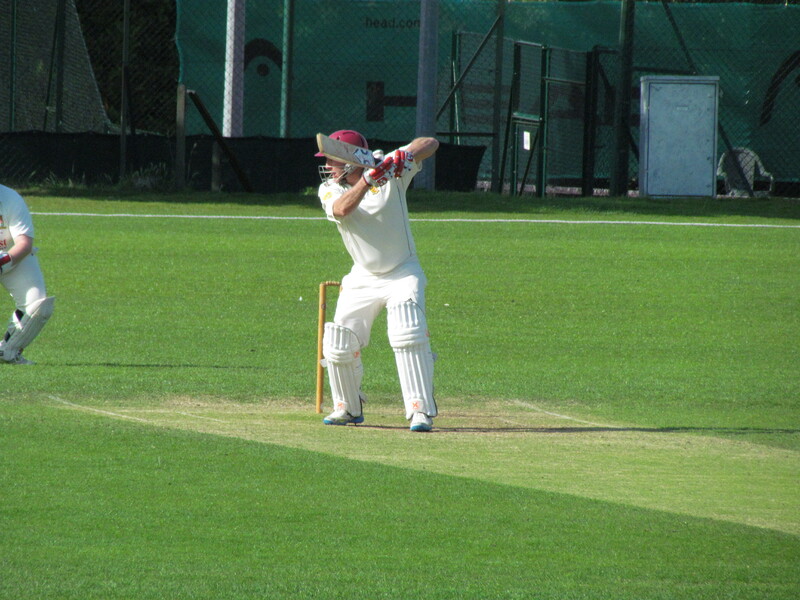 The minor issue was that only 39 overs had been bowled…er, sorry about that old chaps laughed the club captain. 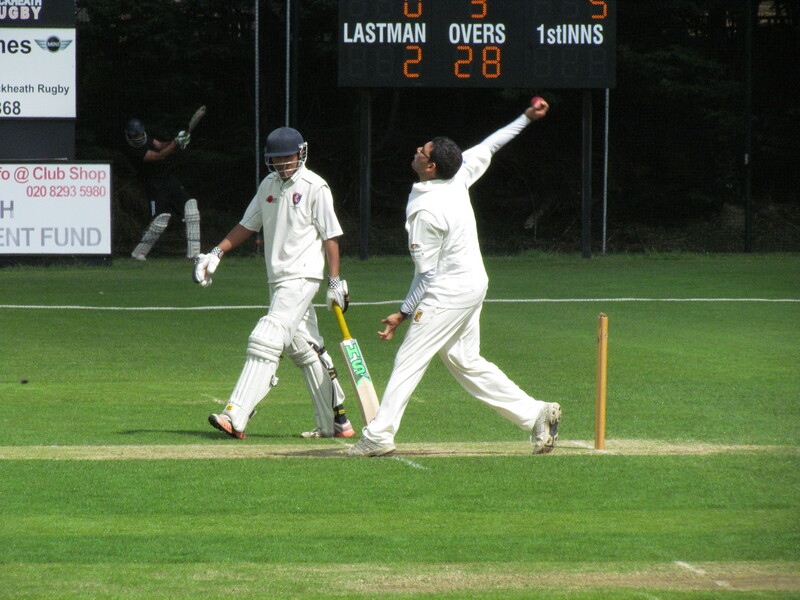 Would the hard-hitting Waj have smashed 33 to win in the last over, we will never know? 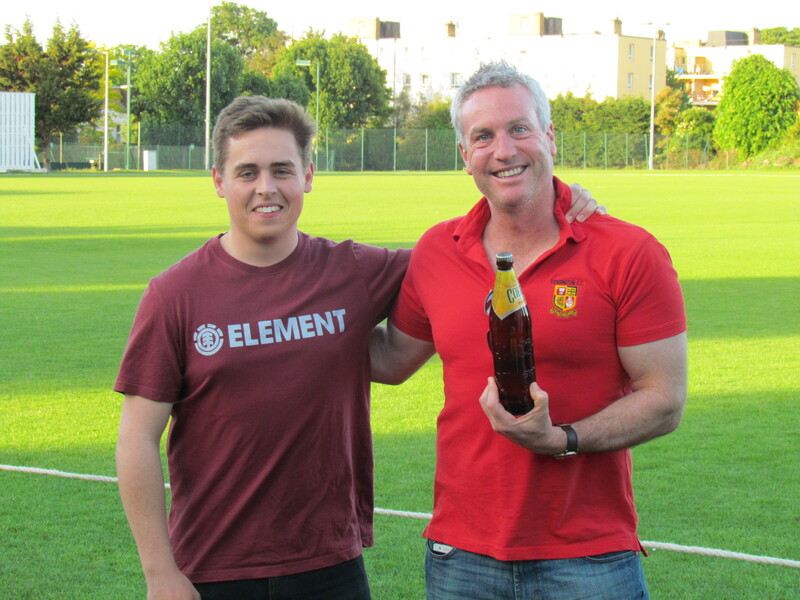 Blackheath secured a rather too comfortable a victory for our liking. We will have to raise our game if we wish to be competitive in future fixtures. A rare photo of Regan defending!